Studio Carry On Harry , Singapore invited Doug Carnine book author who is bringing Kindness and Mindfulness to the world through his books.In a candid conversation with studio host Harry Johal , the author reveals his mission and goal to contribute love and peace to the world by encouraging acts of kindness. A hospice-volunteer with those who are losing their lives and a correspondent with those who murder to take the lives of others. An international education speaker and author of over 50 textbooks, presidential appointee with Senate confirmation to the National Institute of Literacy, winner of the University of Oregon distinguished teacher award and the Life Time Achievement Award from the Council for Exceptional Children. A Buddhist lay minister washing the body of the dead and giving eulogies to suicide victims. Doug Carnine weaves together the threads of losing life, teaching, and a spiritual journey to create two books. 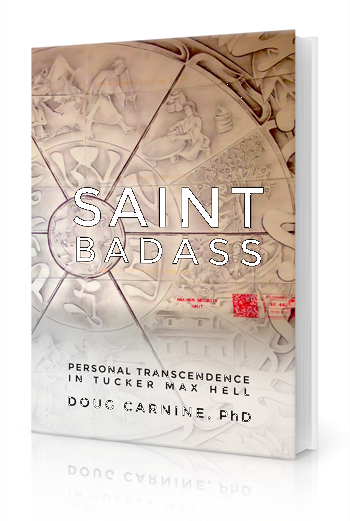 One, inspirational to show that change is possible even in the most difficult environments—Saint Badass: Personal Transcendence in Tucker Max Hell. The other, an ‘us-help’ book on how to change your life and the lives of those around you—How Love Wins: The Power of Mindful Kindness. Stay tuned to talks with Singapore's International Talk Show Carry On Harry with host Harry Johal discussing the Authors Mission of Kindness and his books.